It is STARS' policy to comply with the privacy legislation within each jurisdiction in which we operate. Sometimes the privacy legislation and an individual's right to privacy are different from one jurisdiction to another. For example, we may provide you with health related services or with services on behalf of a public body. As a result, your personal information may be protected by various health information or public sector privacy laws or by various private sector privacy laws. This privacy statement has been created to address the specific privacy concerns of individuals (other than our employees and volunteers) to whom we provide services directly or with whom we interact as we undertake our commercial activities. Questions concerning information that is related to the health related services that we provide or the services that we provide on behalf of various public bodies should be directed to our Privacy Officer. This Policy has a limited scope and application and the rights and obligations contained in this Policy may not be available to all individuals or in all jurisdictions. This Privacy Statement covers only those activities that are subject to the provisions of Canada's federal and provincial private sector privacy laws, as applicable. In this Policy, STARS refers to the Shock Trauma Air Rescue Service (“STARS Service”) and the Shock Trauma Air Rescue Service Foundation (“STARS Foundation”) (each of which are non-profit and registered charitable organizations) as well as STARS Aviation Canada Inc (“STARS Aviation”) (which is a wholly owned subsidiary of the STARS Service). information that you freely provide to us, such as your feedback and comments. Sometimes we collect information (e.g., surveys, focus groups or comment cards) concerning market trends impacting our activities so that we can better understand and serve our stakeholders’ and community needs and develop our strategic plans. We may also collect information related to our donor campaign, media and public relations activities. 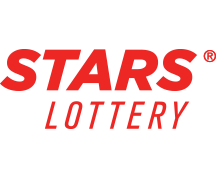 As a general rule, STARS collects personal information directly from you. In most circumstances where the personal information that STARS collects about you is held by a third party, we will endeavour to obtain your permission before we seek out this information from such sources. Such permission may be given directly by you, or implied from your actions. In the course of conducting our operations, we may monitor the activities of individuals in respect of our operations and our property. For example, some of our site locations are equipped with surveillance cameras. These cameras are generally in high risk areas or entrances to our facilities. Where in use, surveillance cameras are there for the protection of employees, volunteers and third parties, and to protect against theft, vandalism and damage to our goods and property. Generally, recorded images are routinely destroyed and not shared with third parties unless there is suspicion of a crime, in which case they may be turned over to the police or other appropriate government agency or authority. This is not meant to suggest that all individuals will in fact be monitored or their actions subject to surveillance. It is meant to bring to your attention that such monitoring may occur and may result in the collection of personal information from you. At STARS, we take your privacy seriously. As non-profit organizations, we believe it is important to point out that Canada's private sector privacy legislation generally only applies to our commercial activities, such as selling STARS merchandise, and not to our other activities such as the services that we provide on behalf of certain public bodies or our fundraising activities. That being said, we believe it is important to confirm to you that we endeavour to undertake our activities in a manner that respects your privacy. When requesting access to your personal information, please note that we may request specific information from you to enable us to confirm your identity and right to access, as well as to search for and provide you with the personal information that we hold about you. We may charge you a fee to access your personal information; however, we will advise you of any fee in advance. Note, we may require a deposit before your access request is processed. If you require assistance in preparing your request, please contact the office of our Privacy Officer.